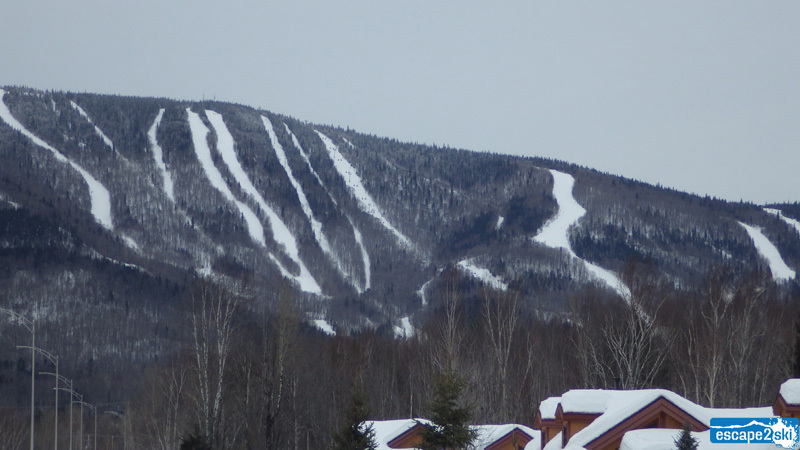 Mont Sainte Anne in Quebec and Escape2ski provides info on; vertical drop 2625ft/800m, total trails 71, closest airport 36mi/57km, lifts 9, webcams & more. The ski area is located within the limits of the town of Beaupre, Quebec in the Laurentian Mountain Range of Quebec, Canada. Beaupre is situated along the shores of the St Lawrence River, which is a major transportation waterway. The gentle sloping farmland rises out from the shores of the river and leads back to rising mountains where Mont Sainte Anne is located. The history of the Beaupre area and the region dates back to the 17th century when sailors stumbled upon this beautiful region. Beaupre is steeped in history, as well as culture and entertainment, and attracts people throughout the entire year. Skiing on what is known today as Mont Sainte Anne dates back to 1943 when a group of volunteers from the local area and Quebec City cut the first trail. However, the ski area known as Mont Sainte Anne was the vision of Anneliese Surman and Jack Perry who thought this location would be perfect for a ski facility. 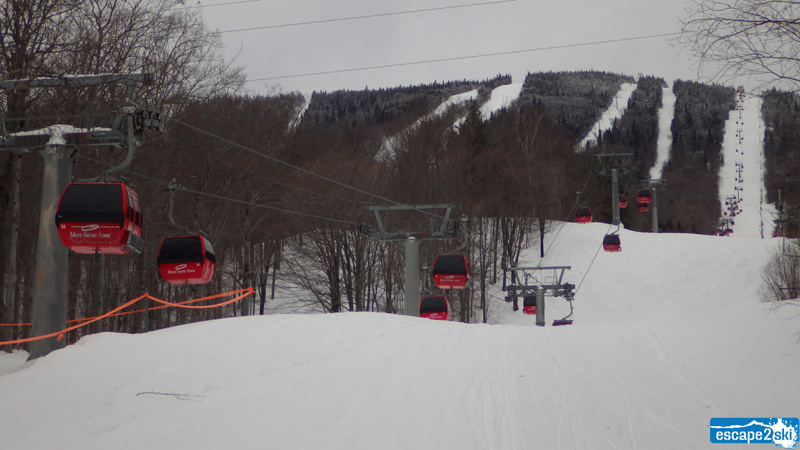 After several years of planning, Mont Sainte Anne opened to the public on January 16, 1966, with ten trails and four lifts, one with a Gondola. And in 1967 Mont Sainte Anne hosted alpine events for the first Canadian Winter Games that took place in Quebec City. The ski resort has grown from its early beginnings to a place where skiers and snowboarders can enjoy slopes on three sides of the mountain, and a pedestrian village with the amenities for shopping, dining and ski-in/ski-out options. Today, Mont Sainte Anne is known as a magnificent family-friendly four-season resort that provides incredible views of the farmlands below along with the St Lawrence River. Mont Sainte Anne is owned and operated by Resorts of the Canadian Rockies and is a resort that has earned a reputation that stretches well beyond the local area and Canada. The Versant Sud or south side, which is the front of the mountain where the village is located, hosts a terrain layout that is naturally divided into two sections. The advanced and expert terrain is located on one side, and the beginner and intermediate on the other. The terrain on the north side or Versant Nord offers trails for beginners, intermediates, and advanced skier or snowboarders, and is serviced by the L’Espress-Du-Nord quad chairlift. Mont Sainte Anne features three on-mountain lodges; Main, Summit, and The North where you can enjoy a break from the slopes for food and beverage. If you are unable to hit the slopes during the day, Mont Sainte Anne has 19 trails available for night skiing and snowboarding on select nights. 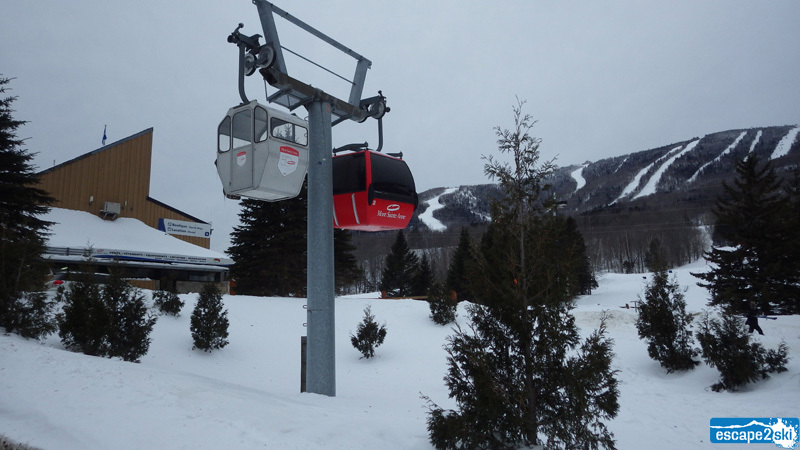 Mont Sainte Anne is home to three terrain parks, the Beginner Park near the base area, Lift Park, and the MSA XL Park with at least 40 features for intermediate to advanced skill levels. Finally, there is the Boarder Cross course. Mont Sainte Anne offers a full selection of lessons and programs for everyone in the family including; learn to ski and group or private lessons for children and adults. The resort also hosts the Academy, which offers clinics to perfect your technique and reach your full potential. Lodging options at Mont Sainte Anne include slope-side options such as the Chateau Mont Sainte Anne where you can begin your day as you walk out your door. Dining, shopping, and rentals are available in the village area. Mont Sainte Anne is not just about skiing and snowboarding; it is home to one of the largest Cross-country skiing networks in the country, with over 132mi/212km of trails. Included in this extensive trail layout is 78kmi/125km of skating stride. Other off-mountain activities include a 23mi/37km snowshoeing network on 7 trails with three heated shelters, dogsled rides, ice skating rink and sleigh rides. Mont Sainte Anne is a family friendly resort that is focused on creating a memorable experience. Parents, there is a daycare facility for ages starting at age 6 months with both indoor and outdoor fun. Not staying on the mountain, Quebec City has a great selection of accommodation choices where you can experience many cultural events, fine dining, shopping and the charm of walking the streets of Old Quebec City. If you are visiting the area during the first two weeks of February, make sure to visit the Carnaval de Quebec in Quebec City. The festival and its mascot Bonhomme have been welcoming people to this wonderful event since 1955. If you don’t want to drive from Mont Sainte Anne to Quebec City, take the shuttle. For a reasonable fee, you can sit back and enjoy the beautiful scenery. 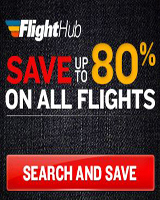 Check the Helpful Links section below for shuttle that is suitable for you. 9:00am to 4:00pm : Sat-Sun, 8:30am to 4:00pm : Night Skiing Wed to Sat, 4:00pm to 9:00pm : Hours maybe subject to change.